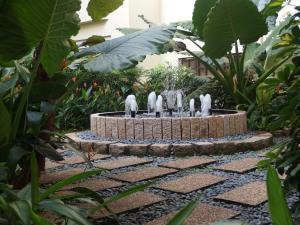 Location is excellent, couple of minutes walk to Stevens MRT. Rooms were huge, too big? Quiet location. Pool and spa was great. A very nice apartment, clean, comfortable and well furnished. The kitchen had plenty of basic equipment if you fancied making food yourself. The staff were friendly and helpful, one very nice lady even followed us out of the building on our penultimate day to ask if we'd like to store our bags after checkout time. There's a nice little pool and hot tub in the complex and a supermarket plus a McDonalds and Subway for those in need of a junk food fix. The Stevens MRT (metro station) is a 3 minute, mostly covered walk away, it takes about 10 minutes to get downtown. 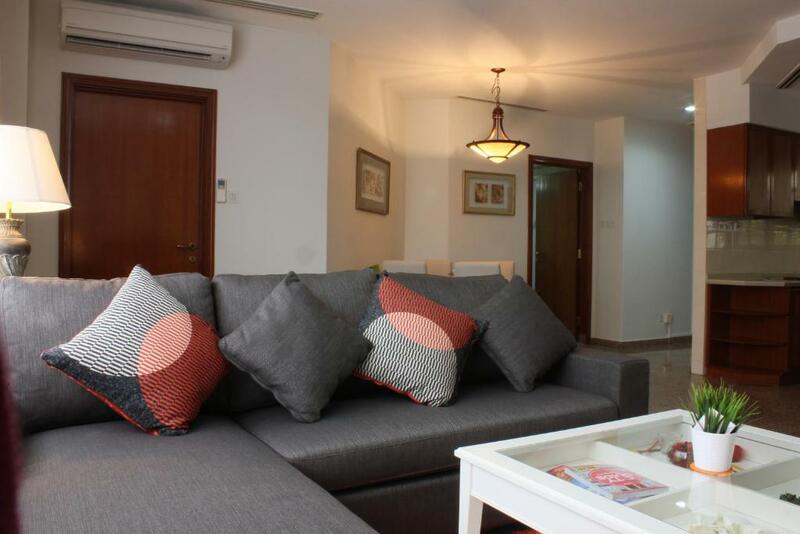 Location for public transport was excellent being very close to Stevens MRT station and major bus routes. Apartment was spacious, staff very helpful and responded quickly to questions I had. There is a small but well-stocked supermarket located within a 2 minute walk from the apartment. 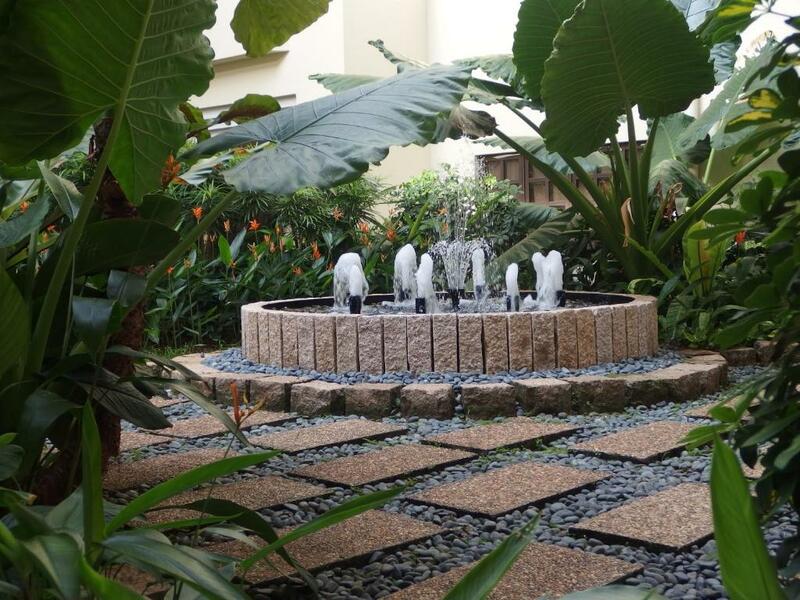 Only 10 minutes by bus from Orchard Road and only one stop on the MRT from the beautiful Botanic Gardens. A fully equipped apartment. Very cozy and comfortable. A good place to relax. Staffs are friendly. 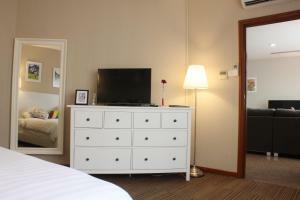 Very convenient as there is a cold storage and a few restaurants within the premises. I will stay again. Size of the room was very good. The bed ,in particular, was extremely comfortable. Cleanliness was excellent. 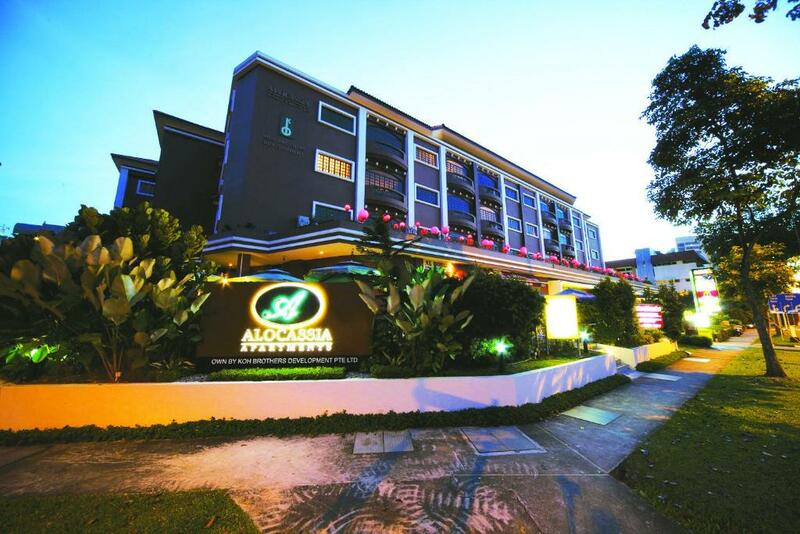 ท่านต้องการเข้าพักที่ Alocassia Serviced Apartments เมื่อไร? 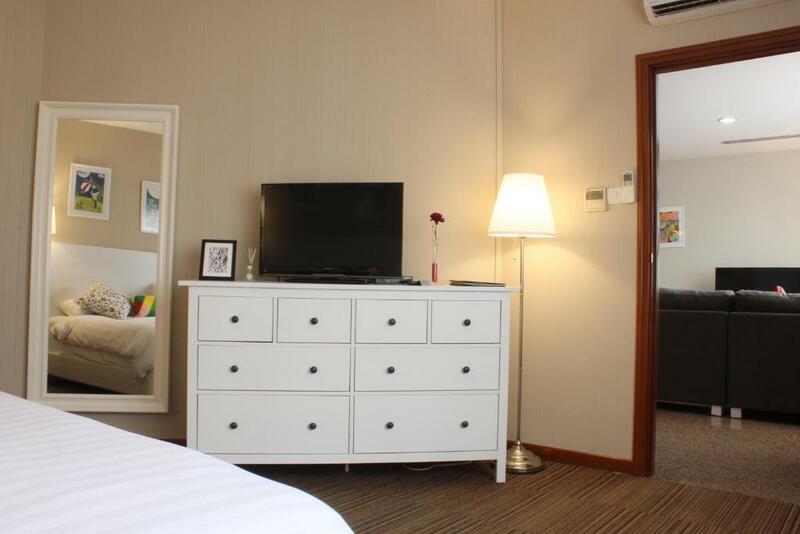 สิ่งอำนวยความสะดวกของ Alocassia Serviced Apartments 8.5 คะแนนสำหรับสิ่งอำนวยความสะดวกชั้นเยี่ยม!